These are just a few of the many ways the DDA, DTCA, and TCPS improve the Downtown Traverse City Experience. 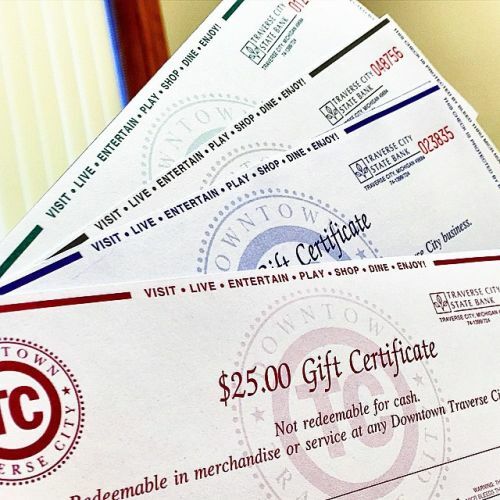 Our office sells over a half a million dollars in gift certificate each year for Downtown merchants. That'a a half a million dollars staying right here in TC! 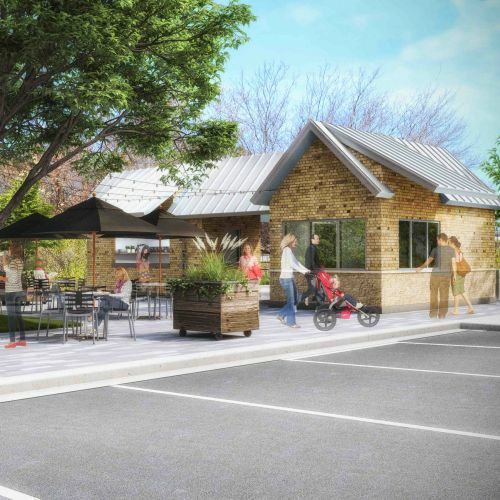 The DDA utilizes funding tools such as Tax Increment Financing for public improvement that contribute toward a healthier and more walkable Downtown Traverse City. Whether is streetscape improvements, parking garages, pedestrian bridges or contributing toward city infrastructure, the DDA works toward an economically vibrant city center. 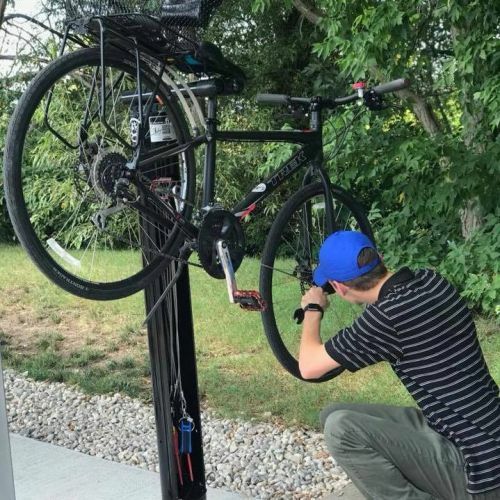 Traverse City Parking Services maintains over 250 bike racks in Downtown Traverse City, manages on the seasonal on-street racks, and continues to add to the inventory annually. 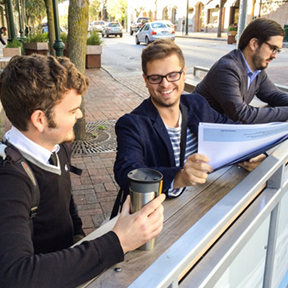 Most recently covered bike shelters and a bike fix-it station were funded and installed by the parking department. Bumpouts add additional streetscape elements such as new seating, landscaping as well as creating a buffer between vehicle traffic and pedestrians. 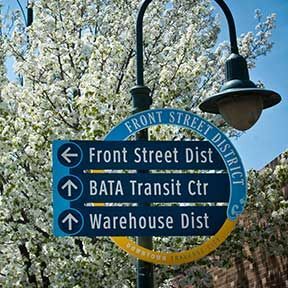 Thanks to the DDA visitors can more easily locate main attractions in the different districts by utilizing our handy wayfinding signage. 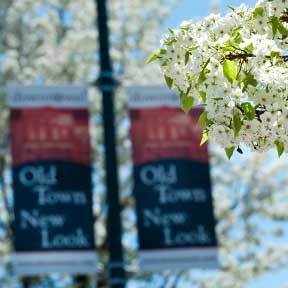 We collaborate with Britten banners to hang banners around the city announcing events like the National Cherry Festival and Traverse City Film Festival. We work to create some magic Downtown at Christmas! 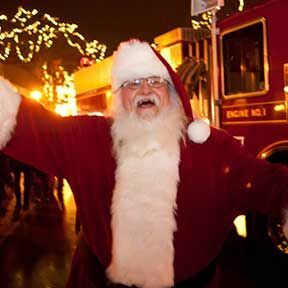 Our office coordinates Santa's arrival, the tree lighting and Holiday open house. We think it's important to stop and smell the flowers. 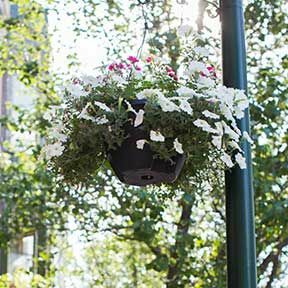 That's why we make sure baskets are hung with pride that overflow with fragrant, fresh flowers! The DDA worked with Traverse City Light and Power to implement a WiFi system throughout Downtown Traverse City. 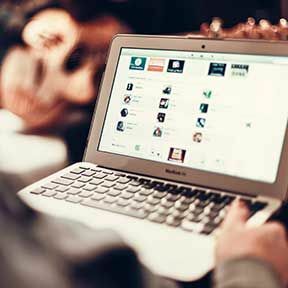 Complimentary WiFi has become an amenity for similar communities and the DDA hopes that this will keep the Downtown vibrant and current. Just another day at the DDA. 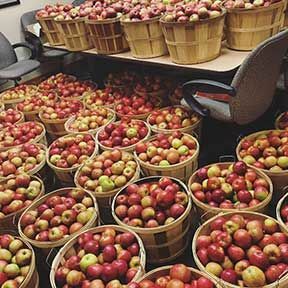 When Autumn comes to town, bushels of apples arrive at merchant's doors free for visitors and shoppers. Our office works to get apples to participating stores and restaurants. Food, Fun and Musical Entertainment. 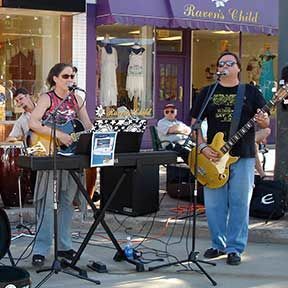 Each Friday night in August offers a variety of performers, non-profits and food vendors!